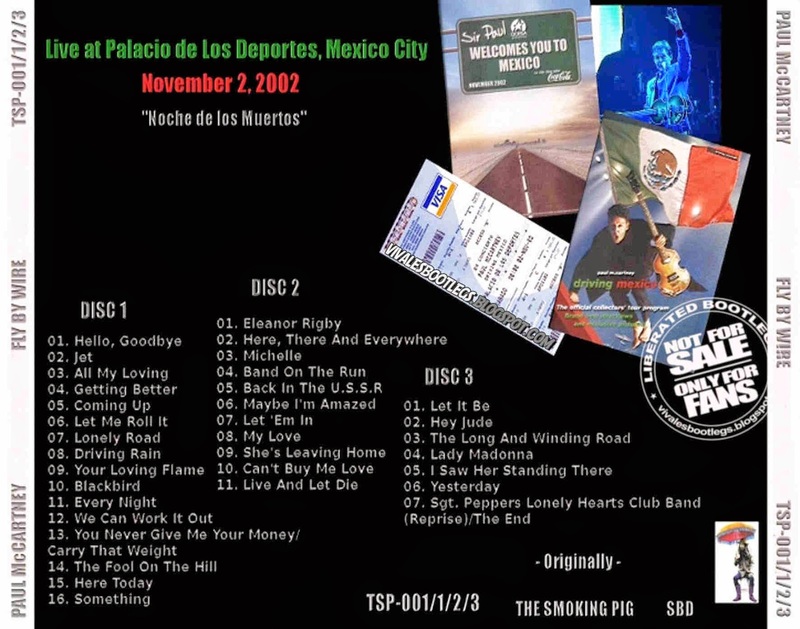 Recorded Live at Palacio De Los Deportes, Mexico City, Mexico - November 02, 2002. Excellent Soundboard Recording :: Silver CDs :: Lossless :FLAC. Files: 34.:: Size: 1.05 GB (flac). 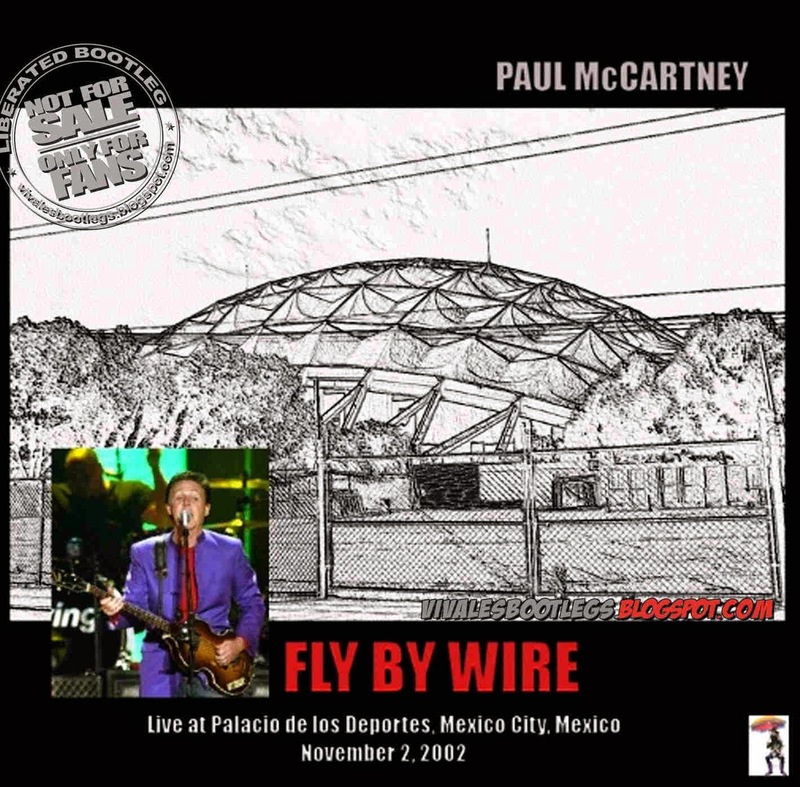 Personnel: Paul McCartney – lead vocals, acoustic, electric and bass guitars, piano, ukulele / Rusty Anderson – backing vocals, acoustic and electric guitars / Brian Ray – backing vocals, acoustic, electric and bass guitars / Paul "Wix" Wickens – backing vocals, keyboards, accordion, acoustic guitar / Abe Laboriel, Jr. – backing vocals, drums, percussion . Lineage: Original Silver Cd > Shn > Flac > You..